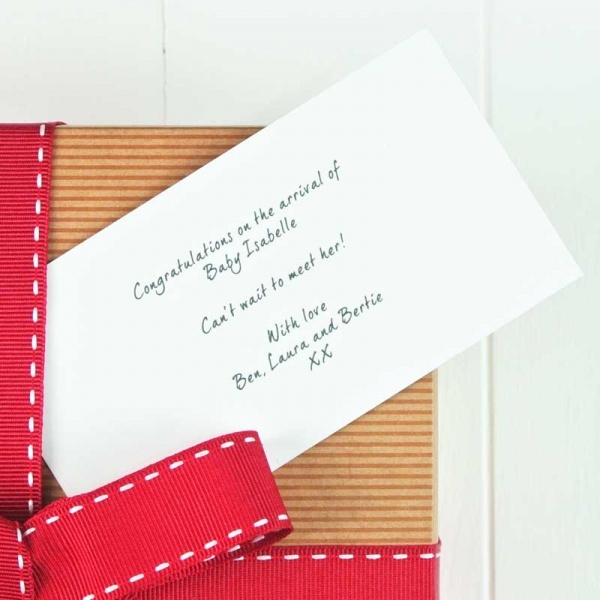 Want to send your loved ones an extra special gift after the arrival of their new little one? Choose this luxury hamper, and it will be a sure-fire hit. 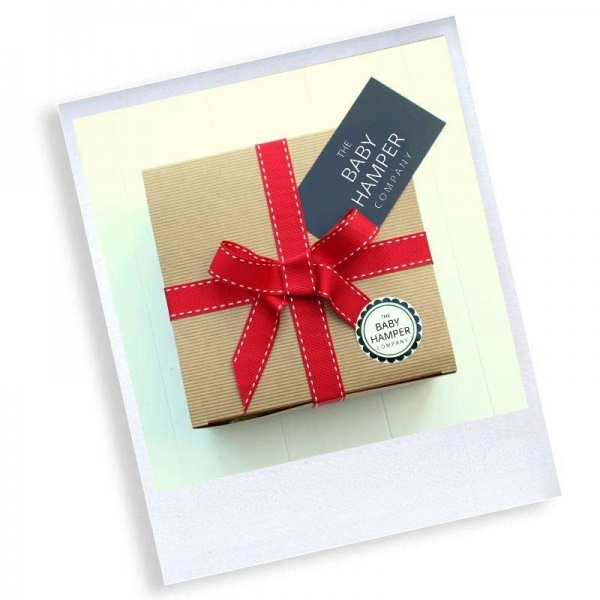 With beautiful gifts for a baby boy or girl, and keepsakes for parents, this box has it all! 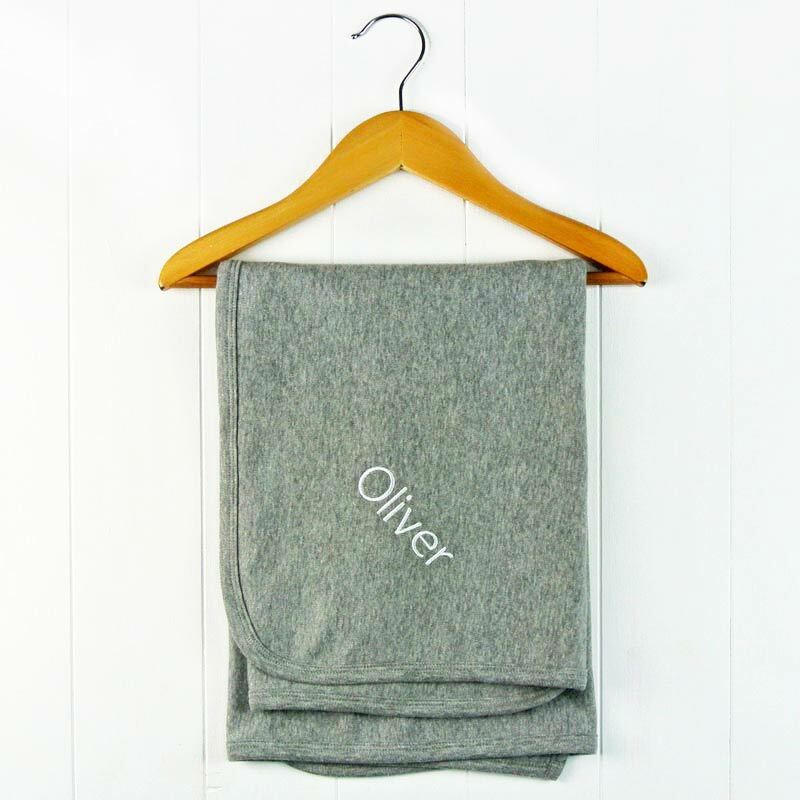 Personalised blanket in grey - a soft blanket, personalised in your new baby's name in either white, pink or blue embroidery. 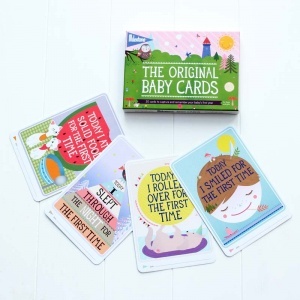 Perfect size for use in a Moses basket or pram. 100% cotton. Sleepsuit in white - Pure white sleepsuit featuring a funky bunny face print. Age 0-3 months in 100% cotton. 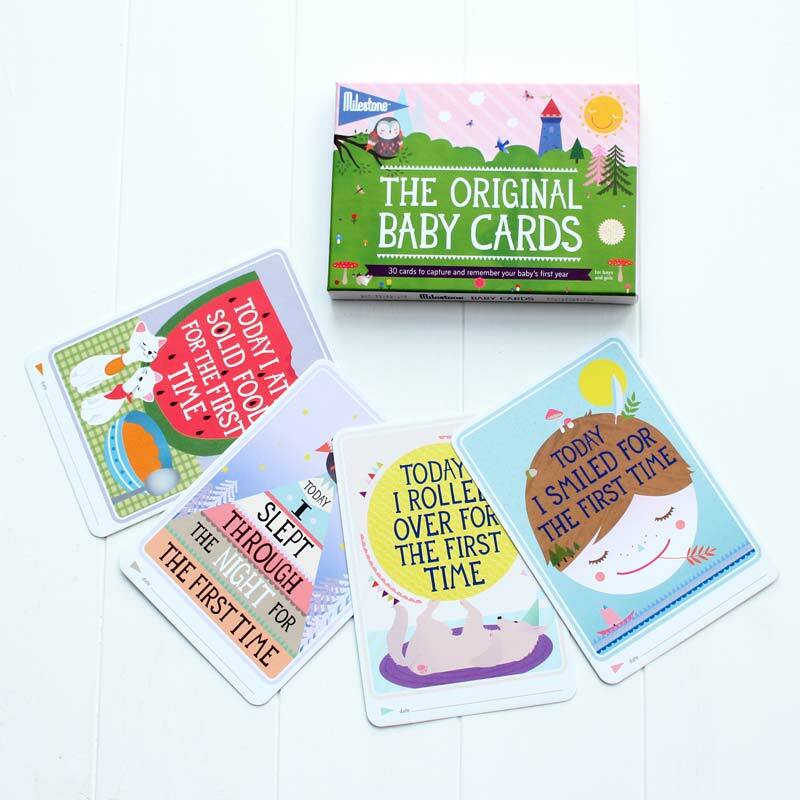 Baby Milestones Cards - a pack of colourful cards used in your social media and keepsake photo's to mark baby's key milestones such as 6 weeks old or first tooth. Wooden Rattle ring - a natural wooden traditional toy that little ones love. Great size for little hands and makes a fun sound when shaken. 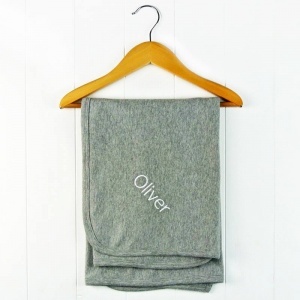 Muslin square - in white, perfect for mopping up spills, a newborn baby essential.